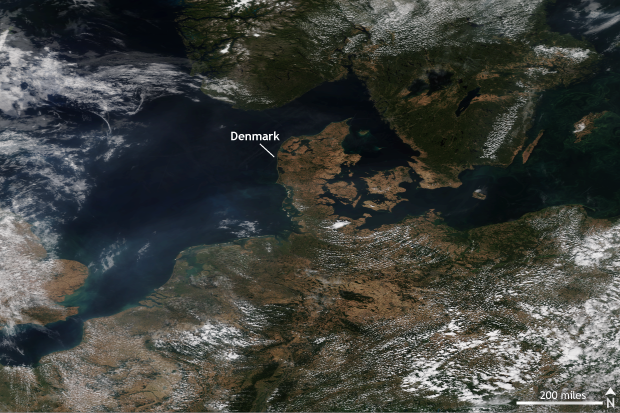 Grab and drag the slider to compare the before (left) and after (right) satellite images of the greenness across northern Europe. Hot and dry conditions turned many green fields brown as the summer of 2018 progressed. 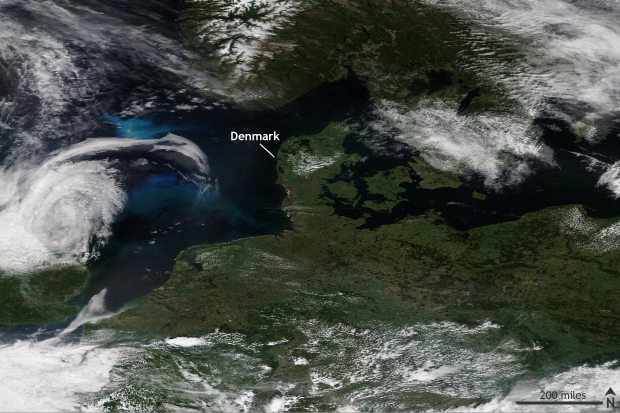 Suomi VIIRS satellite images from the NOAA Environmental Visualization Laboratory. 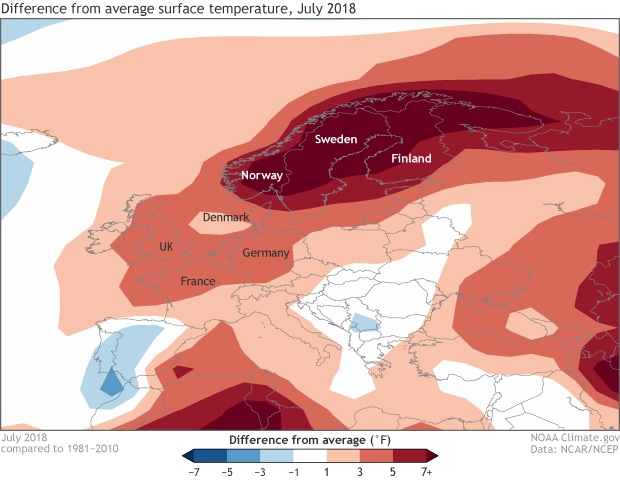 Whenever a highly unusual climate event occurs nowadays, there are countless questions about the connection (if any) to climate change. One group, whose work has previously been highlighted in these posts, aims to answer just this. 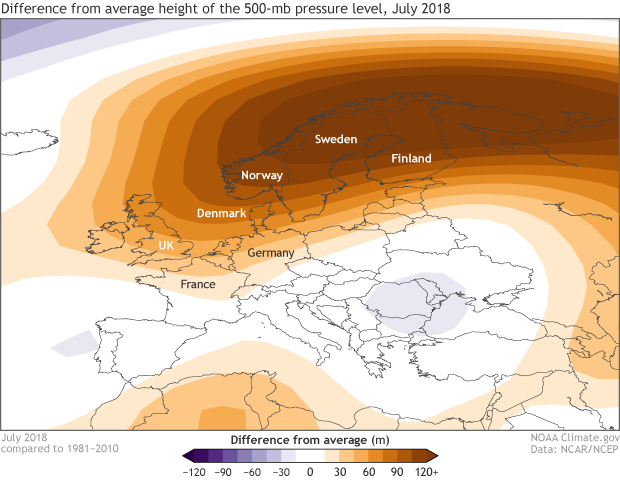 The World Weather Attribution group, an international partnership between six research centers/groups including NOAA’s National Center for Atmospheric Research, looked at weather observations from seven stations located across northern Europe in Ireland, Netherlands, Denmark, Norway, Sweden and Finland in attempt to determine any connection to climate change.